“Rocky IV” was by far the best edition in the legendary movie franchise, so that means a fourth meeting between former UFC heavyweight champs Andrei Arlvoski (Pictured) and Tim Sylvia has to be awesome, too. Right? Well, at least that’s what ONE Fighting Championships is banking on after announcing the scarp Friday morning. Sylvia holds a 2-1 lead in their drawn out series. 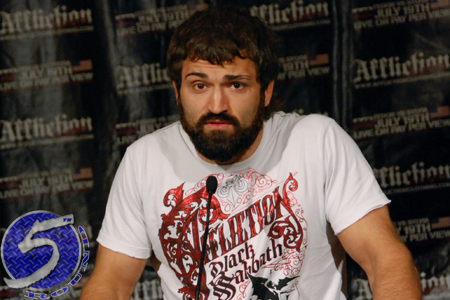 Arlovski submitted him in their first meeting to capture the interim UFC title. However, a year later Sylvia won the next two battles to first take and then defend the belt. Many moons ago, they were the two top dogs in the UFC’s depth-deprived heavyweight division and it seemed as though they met in every other pay-per-view broadcast. Smart Araneta Coliseum in Quezon City, Philippines hosts the festivities. No word from the Singapore-based promotion on how the event will be made available for viewing in North America.